In times of dire need, unusual individuals stand up and fight against the forces of Darkness... and here comes Samyria, daughter of the Earth, bear–friend and skin–changer. 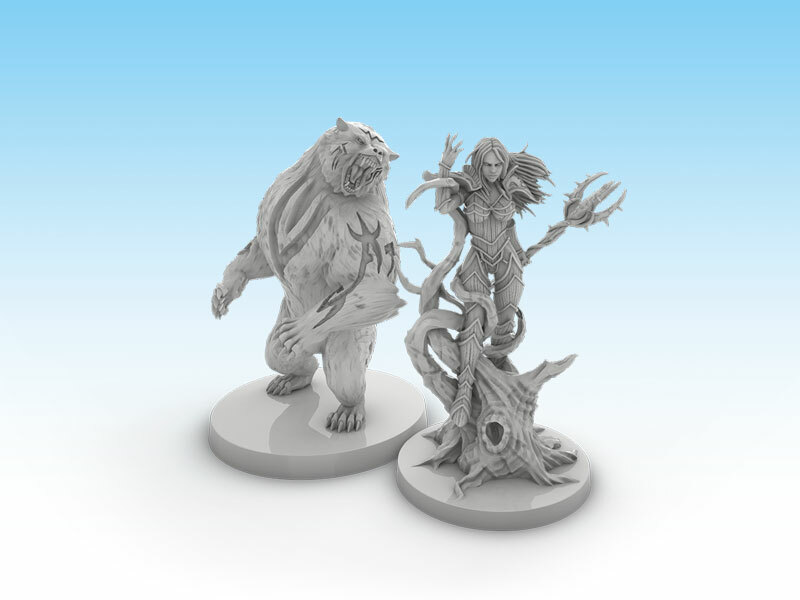 Samyria can be played as either a Druid or Shaman. 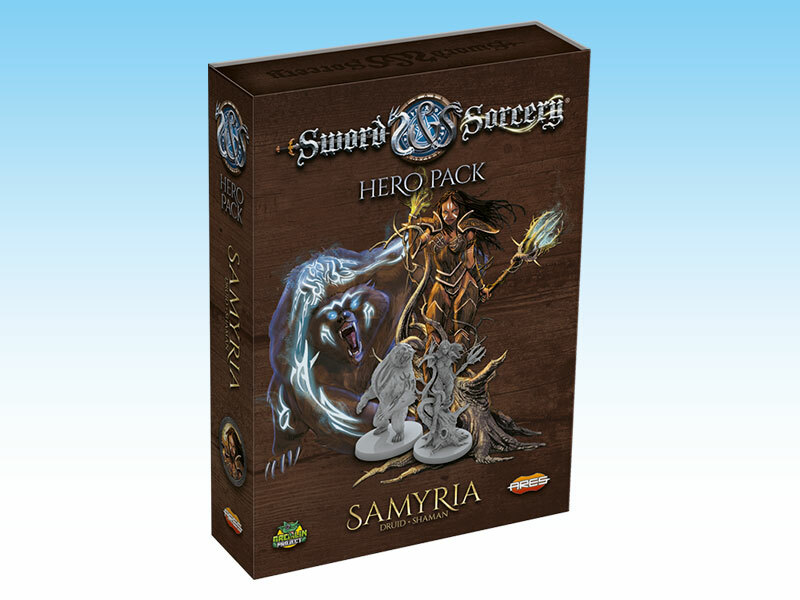 This Hero Pack features two miniatures of Samyria (normal and Ghost Soul form), one Bear figure, her Soul Gem, and new cards — including legendary treasures such as the Dream Catcher artifact and the powerful Force of Nature weapon.